Is a Trademark Required? TM? While trademark registration is not required for the protection of your valuable logos, designs, words, phrases, and other source identifiers, it is a smart business judgment decision to protect them in that way. Taking that extra step to protect what’s yours will aid in enhancing the value of your company and your brand. 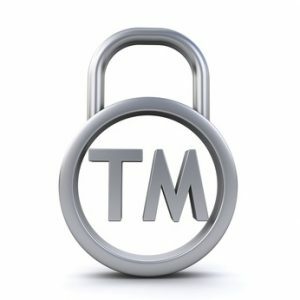 When you work hard to create an identifiable, recognizable, and memorable brand, a trademark attorney can help you protect that asset. Or, if you are clear on the actions to take, you can do it yourself. The U.S. Patent & Trademark Office is a wonderful resource. But having a competent trademark registration attorney on your team can be a great benefit. They can appropriately advise you on every aspect of the trademark prosecution process. For example, an attorney can counsel you on how to select a mark that can be protected, how to perform a trademark search, the use of the appropriate trademark symbol, which trademark registration form to use if you choose to register (and how to file a trademark application), how to respond to USPTO Office Actions, and how to protect your trademark after it’s registered. Regardless of the benefits of having a competent professional who understands trademark law and how to apply it, you can always do it yourself on the www.uspto.gov website. Trademark. Trademark Search. Trademark Registration.